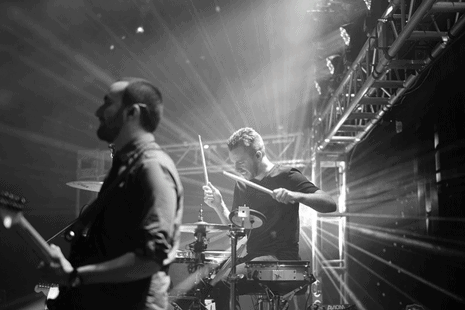 Some advice about the importance of email marketing for Bands in the Music business. Email Marketing is critical for a successful career in Music. Since I started to get involved with helping the artist promote themselves in Ireland, I have come across time and time again the problem of Artist’s not Marketing themselves properly. They seem to be very good at facebook and twitter promotion but fail to realize that this is simply not enough. Email Marketing has proven to be the best way to get any message across when promoting your product. So why is this? Most people treat their email account for more personal correspondence. The email account can be best described as the person’s real address and messages sent to that address are more likely to be taken seriously. There is a huge difference with contacting someone on facebook or twitter and the same person on a personal email. More time and effort is spent on the email as it is a place where the real day to day business of the individual is performed. Job applications, Career contacts, bills, purchases etc are all done here so it is definitely a place of vital importance. The problems with sending out Mass emails are many. The first thing to remember is you cant simply send out emails from your Regular Gmail or regular account. It must be sent from an email platform that will send your message out on an individual basis. Sending out any other way will end up in the spam folder and your message will be deemed as a nuisance. You also give others the opportunity of seeing all the other email addresses you have spammed and this can cause all sorts of problems as each contact are entitled to have their email kept private. I have seen this first hand, people sending out mass emails from a Gmail account and all the email addresses available for all to see. It is done mostly out of ignorance by someone who has no idea how to do this correctly. There are lots of email platforms out there with a few that stand out. 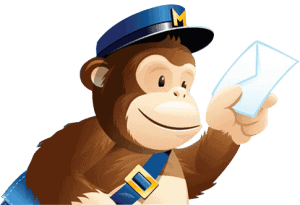 My choice is Mailchimp as it has all you need for starting off with your campaign. It is also free to use up to 1000 emails and you can send 12,000 emails per month without any charge. This is an incredible service and the majority of musicians will not need to look anywhere else when promoting their Music. Having 1000 fans is a huge number for most and if by chance you have more than that, you will be well able to afford the extra few euros a month to sustain your growing Fanbase. Once you sign up you will be asked to transfer all your existing email addresses from Gmail, Yahoo etc to start you off with your campaign. When that is done I would advise that you go through that email list and take off anyone that you think will not be interested in your campaign. You will be surprised at how many you have collected up over the years so be sure to check everyone and uncheck the ones that are of no use to you. You will see that there are some really cool templates available to fill out. Whatever it is you are trying to get across there is a template there to help you. Play around with the templates and see what ones are best for you. You can send out some preview emails to see how they look from your own email or a friends email. It is important to get this right before sending out a mass email. Make sure that you have the name of the person associated with each email. The reason for this is when the emails go out, The software is designed to personalize each email with the name of each person you are sending your email too. This is vital as you are personally reaching out to each individual. On the first mass email you send out, Ask them for permission to receive your emails in the future and if they are not interested then ask them to simply unsubscribe as you do not want to disturb them with emails that they are not interested in. You will get a few that will unsubscribe so don’t worry, It’s not personal. Make your first email very personal and explain to everyone what you want to achieve in the years ahead. Do not Bombard people with emails or you will lose many from your list. One or two per month is plenty and make sure that you inform everyone about some new developments in the email. Maybe a free download or a first look at a new project. Let them know that they are the first to hear about this news. Get them excited about your new release or video. There are so many things you can experiment with here, so the sky is the limit. These are the people that will buy your story and your music so treat them like royalty in every email. MailChimp has a mobile app that is absolutely necessary for this day and age. What is so important about this is when you are meeting someone, whether it’s a new contact or a fan, You can simply ask them for their email address and put it into the App right away. The amount of lost opportunities that I have seen is mind boggling when it comes to this. I have seen bands swamped with new fans and no details being asked for? Its criminal in this day and age. It’s no good telling people you can find us on facebook or twitter after a gig. You will be forgotten about the next day and the contact is lost forever. Get that information after each gig and have your app ready to put all those emails into your email account. It will only take a few minutes after each gig and will make the world of a difference. All the tools are there my friends and are totally free to use. If you are serious about marketing and promoting yourselves then the time is now. Get on this right away. You are only a few steps away from having a real business with real contacts and more success.